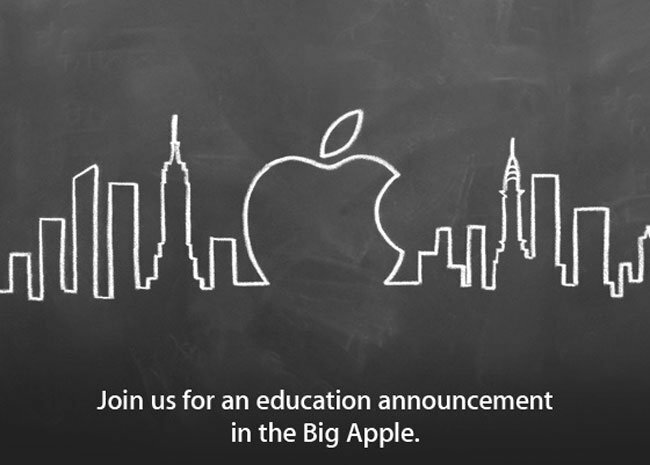 Apple has sent out invitations to a new special event which will take place at the Guggenheim Museum in New York on Thursday the 19th of January, and as you can see from the invite, Apple will make an ‘education announcement’. Apple hasn’t given any details on what they will announce at the event, although there are a number of reports that the event will focus on digital textbooks for education. Apple isn’t expected to announce any new hardware at the event next week, so it doesn’t look like we will get an announcement on the new iPad 3.